The holidays are here again. We are thrilled to announce that our newest title, Goodnight Santa, is NOW AVAILABLE on Amazon! Goodnight Santa is a fun and engaging holiday bedtime book, designed to teach your child their first words. With vibrant illustrations and simple rhymes, this adorable book is sure to keep your child focused and entertained, while you prepare them for bed. Get your copy today! Available in eBook and paperback format. Happy New Year! We’re starting the New Year with a special eBook offer! ABC, 123, Colors, Mr. Dinosaur is Hiding and Green Bird Loves to Count are ALL just $0.99 for a limited time. Get your copies today and let’s read together! Looking for a gift for your little one? Goodnight World is now available on amazon.com in both print and eBook format. Get your copy today and stay tuned for contests and giveaways! Hi there. Welcome to Sammy’s Books. We are getting ready to launch in the next few days. A collection of beginner books created for babies, toddlers, and young kids. Our simple and straightforward designs encourage children to focus, learn, and have tons of fun. 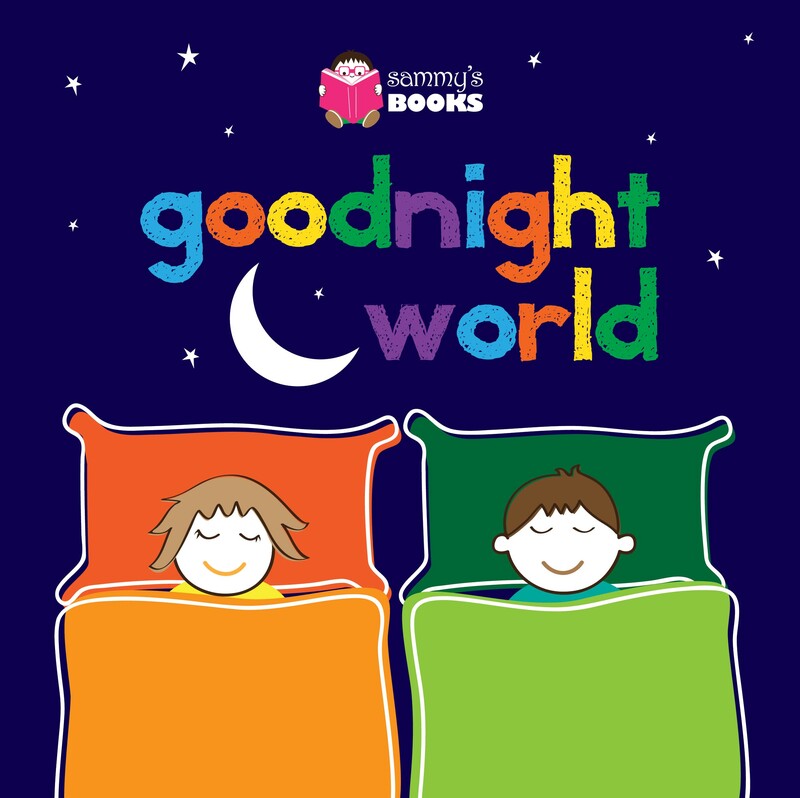 Introducing our first book, Goodnight World. Goodnight World is designed to prepare your child for bed, at the same time, teach and remind them of their first words with the use of colorful illustrations and rhymes. Goodnight World, plus all our upcoming titles will be available in both print and eBook format. Check back soon! Thanks for stopping by.